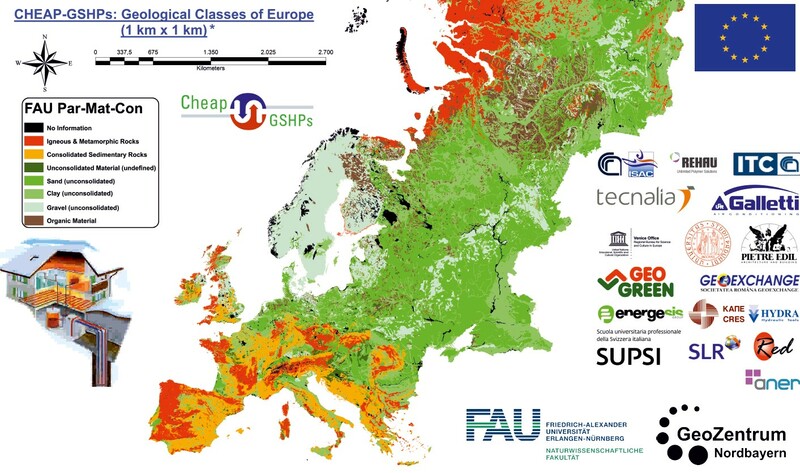 During the European Geosciences Union General Assembly held in April 2016 in Vienna (Austria), the results of one the Cheap-GSHPs project tasks was presented together with one of the tasks outcomes in the poster session “Development of strategies towards a sustainable intensive thermal use of the shallow subsurface”. In relation to these newly defined major groups, called FAU_PAR-MAT-CON, the drillability of the underground was analysed together with the drilling companies involved within this project. As result it is possible to advise, within the limits of specific local conditions, drilling techniques in terms of time and/or in terms of cost to certain areas all over Europe.